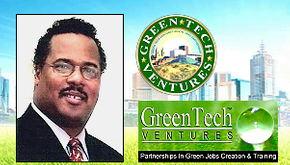 Donald E. Thornton is an accomplished Marketing Director & Founder of Green Tech Ventures a National Green Tech Advocacy Movement, Green Marketing & Consulting Firm. 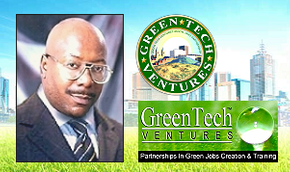 Mr. Thornton is also the Founder & CEO of B.U.I.L.D., Management, LLC, which is a Minority Owned Marketing & Consulting Firm of which targets the Land Development and "Green Tech Construction Industries". Willie James is a Marketing Specialist & United States Veteran who served in the US Military where he trained and worked as a heavy equipment operator and diesel technician before being honorably discharged. Willie returned home to the United States and enrolled in Fairmont State University, earning a Bachelor of Science Degree in Psychology and Recreation Science Administration. 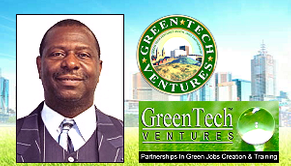 Gregory F. Edwards is an accomplished businessman, entreprenuer, humanitarian & visionary who has an extensive history of Corporate & Community Development. Mr. Edwards is the Founder of Akron, Ohio's first ever Black Chamber of Commerce & has coordinated countless Business Forums, Lectures & Workshops over the years. 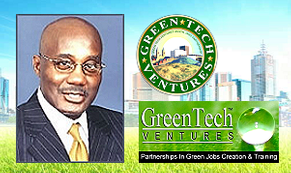 Mr. Edwards has been a Green Tech advocate for almost 20 years. Gerald Gould has over 20 years experience in corporate development, political consulting, entertainment, public relations, youth programming, and community development. Mr. Gould has worked extensively over the years on behalf of various Green Initiatives and nonprofit management, youth advocacy, youth mentoring, as well as resource and program development as President and Co-Founder of BICEE, Incorporated for over 15 years. Charles L. Smith is an accomplished entrepreneur, businessman and long-standing Community Leader who has devoted his life to helping others by way of his career as an Attorney at Law. Charles is experienced in Family Law, Civil Litigation (Plaintiff & Defense) including Business and Corporate Law, Insurance, Personal Injury, Entertainment Law and who also has managed some of Green Tech Ventures business & industry related Legal Affairs over the years. 1. Invest In Green Jobs Creation. 2. 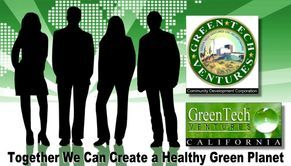 Invest In Green Jobs Training. 3. Invest In Green Jobs Placement. "Green Technology is the Only Real Future for a Healthy Planet, a Growing Economy & Growing New Jobs on the Global Stage."